Started as an Architecture Consulting Firm in 2003, PT. 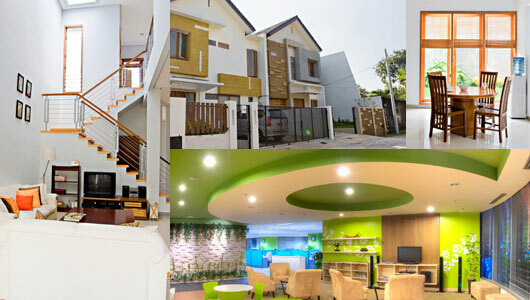 Samitra Gantari Prawara has gained great demand of Planning, Design, and also Construction from private companies, individuals, and hospitals around Indonesia. Since then, we try to satisfy more people by branching our services into Interior and Civil Works to serve the Big Brand Companies for their retail outlets and branches. Our people are dedicated to give their best to satisfy every customers by having a solid network with suppliers and field workers (tukang). By looking to the future of property business in Indonesia, we are passionate to create more contribution towards People, Profit, and Planet. In People, we mean that every stakeholder (Suppliers, Employees, Customers, Shareholders, and people's lives that surround us) will gain an added value by working together with us. As a business, we are developing continuously to give the most efficient and effective efforts in aiming the best business result for our stakeholders. In the long term business plan, we are looking forward to give more contribution for this lovely planet by Planning, Designing, and Constructing the best we can. Above of all, we will not be here until now if you are not satisfied. Therefore, we will always put in front that customer satisfaction is the most important thing to maintain. Please feel free to browse our website, if there is no suitable design for you, LET US KNOW, WE WILL CREATE A DESIGN SPECIFICALLY FOR YOU! !